The Hon. 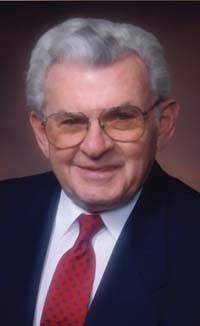 H. Warren Knight, retired Orange County, Calif., Superior Court Judge and founder of JAMS, The Resolution Experts, passed away on Thursday, Nov. 15, 2012, in Newport Beach, Calif., from complications from COPD. He was 83 years old. Warren Knight was born in Charleston, W.Va., on Oct. 16, 1929. He graduated from the University of Virginia in 1952 and University of Virginia School of Law in 1955. He joined the Marine Corps in 1955 and was stationed in California. He practiced law and served on the Orange County Municipal and Superior courts. He was named Trial Judge of the Year in 1974 and 1978 and was the recipient of numerous other legal awards. Judge Knight’s belief in the benefits of alternative dispute resolution (ADR) inspired him to leave the security of a judgeship in 1979 and open a one-man mediation practice in Santa Ana, Calif. Thus was the beginning of the first JAMS office and Judge Knight’s extraordinary contributions to the field of ADR. Thirty years later, JAMS has grown to be the world’s largest private ADR provider with hearing locations across the globe. Judge Knight will be remembered as a generous teacher and mentor with a comforting presence, superior listening skills, sharply honed sense of justice and infectious sense of humor. His family and loved ones would agree that he lived life to its fullest. He spent 10 years in Sun Valley, Idaho, fly fishing, hiking, traveling and making new friends. More recently, he lived in California, where he worked on his family genealogy and mentored two students as part of the Newport/Mesa ProLiteracy Program. Judge Knight is survived by his wife, Carolyn, and his five children and eight grandchildren. A memorial service will be held at 11 a.m. on Saturday, Dec. 8, at the Calvary Chapel East Anaheim, 5605 East La Palma Ave., Anaheim, Calif. In lieu of flowers, the family has requested that donations in Judge Knight’s memory be made to the following organizations: The JAMS Foundation, Attn: Julie Sager, 1920 Main St., Suite 300, Irvine, CA 92614 or Newport/Mesa ProLiteracy, Attn: Cherall Weiss, Literacy Coordinator, 1000 Avocado Ave., Newport Beach, CA 92660.